Backup isn’t just about storing copies of your customers’ data; it’s really more about what happens when you need to restore it. You see, the more often you back up, the more up-to-date the data is when the time comes to restore it. Much of this is driven by the backup window, which is the time it takes to perform a backup without impacting system and network performance. Performance degradation is one reason backups are usually done during off- peak hours. When backups take time, they burden the IT department that has to manage them. And they tax the network that supports the backups. Time definitely impacts, and perhaps even dictates, backup behavior. Due to the state of most backup solutions, few businesses back up as often as they should. This is particularly true for shops that still use tape. If you do one incremental backup daily, you are believed to be doing well. If you have a serious crash, a full day’s data could be lost. And restoring from tape could take at least that long. Possibly longer. This is due in part to the sheer size of some backups but it is also due to the fact that some still use tape, which is a difficult, unwieldy, unreliable, and time-consuming way to do backup. Or simply put, backups are too big and take too long. If you can optimize the selection of data, as well as minimize the time it takes to perform the backup, without compromising an ability to protect your customers’ data, applications, and systems, high-speed backup can fundamentally change how you protect your customers’ data and positively impact the cost to do so. SolarWinds MSP Backup & Recovery employs a number of cutting-edge technologies to achieve blazing-fast backup and restore speeds, which revolutionize the selection of what should be backed up and how quickly backups occur, increasing the frequency of backups to ensure your data is as fresh as possible. You only want to backup what’s changed. So MSP Backup & Recovery uses several methods to establish exactly which files have been modified and then exactly what’s changed within those files. 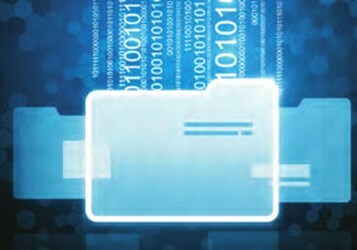 With intelligent reviewing of file structures and file system metadata, as well as its Backup Accelerator technology, which actively monitors files larger than 1GB, MSP Backup & Recovery speeds up the process of identifying what files have been changed, leaving backup windows to focus on actual backups. This helps keep backup windows short, allowing for more frequent backups, if needed. Once data is selected for backup, MSP Backup & Recovery’s True Delta™ technology enables the deepest deduplication of the backup data possible today, reducing the raw backup data size to as small as possible. Other backup solutions will send over the complete file even if a single number or letter was altered in that file, regardless of the file size. MSP Backup & Recovery only sends the changed blocks of data deduplicates the data to ensure data is only sent once. And to complete the trifecta of speedy backups, MSP Backup & Recovery compresses and stores data at super-high density, far higher than with traditional file, or other block-level backup tools. In fact, MSP Backup & Recovery compression is in the order of 8-10 times. And for Microsoft® Exchange, you can expect MSP Backup & Recovery’s deep duplication to reduce backup amounts by as much as 98%. Simply put, the less data you have to send over the network, the faster your backup will be. This massive data reduction opens up a whole new world of possibilities. Using MSP Backup & Recovery's hybrid-cloud configuration, which includes on-premises storage with the Local Speed Vault (LSV) combined with cloud-based backups, you can back up faster and far more often. Backups simultaneously go to the cloud and to the LSV. When the LSV finishes, the job is marked complete and MSP Backup & Recovery automatically completes the synchronization to the cloud for you, further shortening backup windows. The best news is that this performance opens up a revolutionary way to do backup. It means that hybrid-cloud backup is not only workable; it is now the preferred method of data protection. The availability of bandwidth is greater in today’s networks by several degrees compared to a few years ago. Coupled with True Delta™ and compression, you can now move large sets of backup data over IP networks – right out to the cloud. Shops that use tape are in tough shape. If you are forced to recover from tape, you could be looking at recovery times of a day to a full week to get all your data back because tape is a slow, non-linear media. And it only contains data. In the event of a major incident, you will be forced to rebuild and reconfigure servers for your client before all the data can be poured back in. Because of its deep deduplication, MSP Backup & Recovery can restore over 5GB per minute. Instead of taking hours, or far longer, most restores will take just minutes. And because MSP Backup & Recovery allows such control, more restores are fast and easy – even your customers can do their own restores. MSP Backup & Recovery also offers several options to speed up the recovery process. For those customers with short recovery times, MSP Backup & Recovery supports image-based backup using both public and private cloud-based recovery targets to restore entire servers and infrastructures virtually. For the most critical systems, MSP Backup & Recovery also supports creating a Standby Image, an always-ready virtual machine standing by on-site. And since 99% of all restores involve the recovery of a small group of files, end users can use a standard web browser to find and restore the files themselves. With True Delta™ the restore is more or less instant. Keeping pace in today’s digital world requires a need for speed and flexibility – especially when it comes to backing up business intelligence on behalf of your customers. Fast backup means you can schedule backups as your customers’ business imperatives demand. That means their data can be current when it comes time to recover. The speed of restoration is just as pressing an issue. When awaiting recovery, chances are your customers’ systems are not working at full capacity or maybe not even working at all. Online backup eliminates the hassles commonly associated with slower methods. It also gives you control over what you back up and when you do it.